Retail has its own language and set of KPIs. We work with service providers to help reinforce their offers to the marketplace. Image matters. As retail itself transforms, so must the message of suppliers and service providers. High Street is intimately connected to retailers and the needs, as well as the current narrative in the industry. We can help you re-position your image and your message to be more customer experience focused, solution-centric and forward-thinking. There’s a big difference between quality versus quantity when it comes to content marketing, and we are quite bullish that if you’re not sharing something of value, don’t do it. Let’s be real, it’s hard to stand out with something new to say in an industry littered with cliches and noisy narrative. Provocative points of view will make your content work harder. If you need PR pull, we can bolster your team and help you stand out among the competition. There’s magic in a pitch, and much of it is in the way the story is told. The rest is a mix of strategy, insider insights, casting, creative and cadence. We are trained pitch masters, and we promise monumental momentum from our behind-the-scenes support for your pitch. Yep, there’s lots of labs. What makes yours special? How is it unique among your competitors while also reflecting your core offerings in a memorable way? Better yet, what is your ‘story and script’ to make it as compelling and action-inducing as possible? Whether it’s envisioning the potential, populating your product stories, lining up the latest technology, or revving up your current lab’s output, we can help. In-store, digital innovation has become table stakes for today’s increasingly digitally-connected and fickle shopper. For retailers trying to stay relevant for this market, service providers not only must talk the digital talk, but must walk the digital walk. 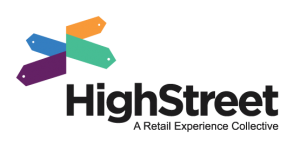 High Street can deploy a change management and inspiration “SWAT team” that will help transform your company’s operations to an cross-functional team that understands, embraces and integrates digital innovation and thinking into every aspect of the company. Just like a great pitch, knowing what and how to talk to your prospects is critical to not only getting a conversation, but taking it to another level of sophistication. Store innovation is a consultative sell. If you have a large team with room to get stronger with strategic retail selling — even down to the specific retail prospect — we can operate as your behind-the-curtain bat phone.